#MeToo and MJ Akbar: Who are the 20 Asian Age women scribes supporting Priya Ramani, willing to testify against their former boss? More voices have begun to rise up against junior foreign minister MJ Akbar. 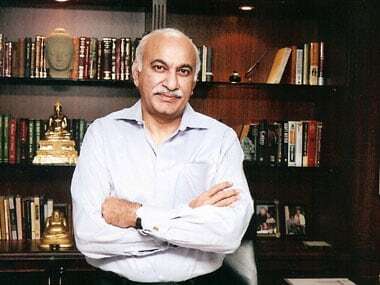 At least 20 women, who were part of the first few teams set up by Akbar when he launched The Asian Age in 1994, have written a petition describing his behaviour and condemning his sexual advances. They have asked the court hearing the defamation case filed by Akbar against journalist Priya Ramani, to consider their testimony about the "culture of casual misogyny, entitlement and sexual predation that he engendered and presided over" at the organisation. Akbar resigned as the Minister of State for External Affairs on Wednesday following a spate of allegations of sexual harassment during his days as editor of several publications. In a brief statement, Akbar said he had decided to seek justice in a court of law in his personal capacity. 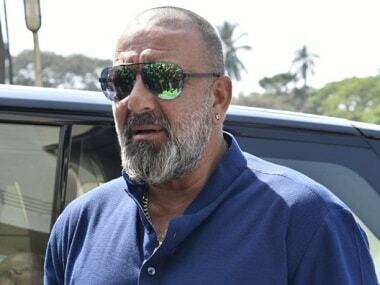 Welcoming Akbar's decision to step down, the women said in a joint statement: "We are happy that Mr Akbar finally did the correct thing, and in the light of all that has emerged in the last couple of days, expect that he will also drop the bogus criminal defamation case against Priya Ramani." On being asked what prompted her to sign the petition, bestselling author Kiran Manral who has worked at The Asian Age from 1993 to 1995 told Firstpost, "This is not Priya's battle alone. This is the battle of every woman who has faced, witnessed and been a victim of sexual harassment at the workplace. If we, as women, let this pass without standing up to it, we would be poor supporters of the cause." Manral said that before she joined The Asian Age, she was only aware of Akbar's professional reputation but became aware of the "whisper network" about him once she started work at the newspaper. "Well, honestly I knew nothing except his journalistic background and the books he had written. When I began work, I realised that while, as an editor, he was absolutely fabulous in how he pushed the envelope and drove us to get great stories, the whisper network was strong." She refused to comment on whether she witnessed or experienced any incidents of harassment during her stint at the organisation. But she did mention one instance when she felt "uncomfortable and inappropriate" on being asked to meet in a room. "I have only had one incident where I was asked if I would like to come up to the room, I declined and left. It felt uncomfortable and inappropriate. But there were discussions of inappropriate behaviour across bureaus which were disturbing," she said. She also said that though the stories of women who have accused Akbar "didn't surprise her", she was outraged on knowing that Akbar has denied all allegations and sued Ramani with a case of criminal defamation. 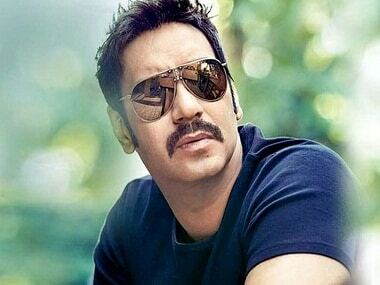 "When I heard that he had denied all these stories and was suing Priya, my first reaction was of outrage. Priya is a woman of unimpeachable integrity. Suing her for defamation when there were so many named accounts coming out from so many other women was just unacceptable," she said. Parkar — who worked at The Asian Age from 1996 to 1999 and is currently a freelance journalist — responded thus: "What needed to be said is in the statement from all of us." Francis, who worked at Deccan Chronicle from 2004 to 2011, replied saying that she wouldn't want to be quoted. She is currently an editor at The Hyderabad Times. Pande is a journalist who worked at The Asian Age from 1993 to 1998. Patel, who is the latest to have recounted harassment she faced, is a journalist who went on to become political advisor, and later, executive assistant to Vijay Mallya. She worked at The Asian Age from 1993 to 2000. Gahlaut is a Delhi-based journalist and author of Among the Chatterati. She worked at The Asian Age from 1995 to 1998. Sharma worked at The Asian Age from 1993 to 1996 and is presently a film critic with the Deccan Chronicle. Badam is a journalist with The National in Dubai and had worked at The Asian Age from 1994 to 1995. Banerjee was at The Asian Age for 3 years from 1995 to 1998 and later launched Gameplan, a sports marketing company. Kumar is a freelance writer and editor and has written for The Times of India and Hindustan Times. She worked at The Asian Age from 1996 to 2000. Sachdeva was with The Asian Age from 1999 to 2000. She works as managing editor for DFU Publications and has previously worked with The Times of India and Business Standard. Hauzel is a former journalist who has worked with various Indian publications including The Asian Age (1999-2000). She is currently pursuing a career in writing. After starting her career at The Asian Age in 1996, she left the organisation in 1998 and moved on to work for Channel [V] and Femina Magazine in New Delhi. Gulab is a freelance editor and writer and has previously worked for various newspapers and magazines. She was at The Asian Age from 1993 to 1997. Apart from them, Kaniza Gazari (The Asian Age, 1995-1997), Aisha Khan (The Asian Age, 1995-1998) and Jonali Buragohain, Sanjari Chatterjee who are also former employees of The Asian Age, have signed the petition. Two men who worked in newsrooms run by Akbar have tweeted their support to the women. Author Rashid Kidwai is one of them. He tweeted that he was in The Asian Age's political bureau from 1993 to 1996 and that he believes their accounts. 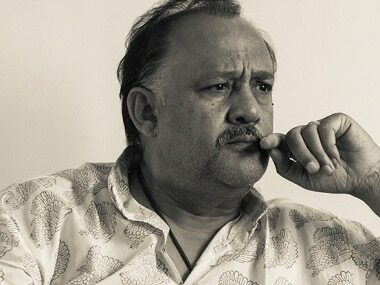 Kidwai told Firstpost, "My attempt is to express solidarity with my colleagues. It is important to believe in women who have mustered the courage to speak on such a personal matter. It is a serious issue that must be addressed and there are so many voices out there that should be heard with a degree of seriousness." However, he declined to answer if he was aware of any act of sexual harassment by Akbar. "I would not like to get into the specifics as it is a legal matter," he said. Eighteen women have so far shared their ordeal of suffering sexual harassment at the hands of Akbar. But Akbar has categorically denied the allegations and termed them as "false, fabricated and spiced up". On Monday, he filed a criminal defamation case against Ramani, who was the first woman to publicly accuse him of sexual harassment. The case is listed for hearing in Delhi's Patiala House Court on 18 October. 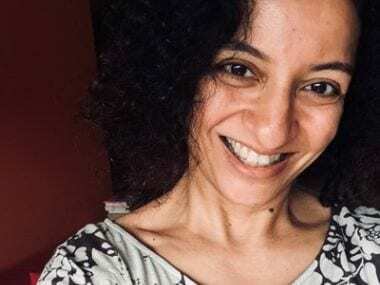 1#MeToo and MJ Akbar: Who are the 20 Asian Age women scribes supporting Priya Ramani, willing to testify against their former boss?